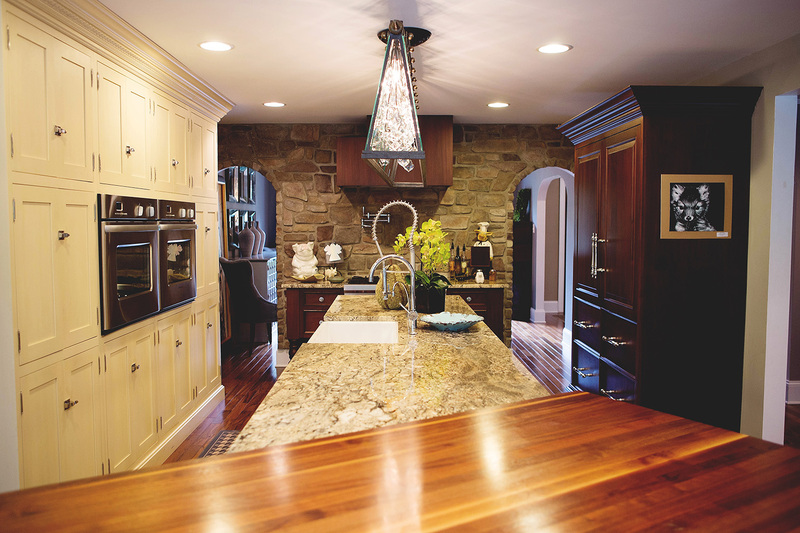 One of our favorite kitchen designs. 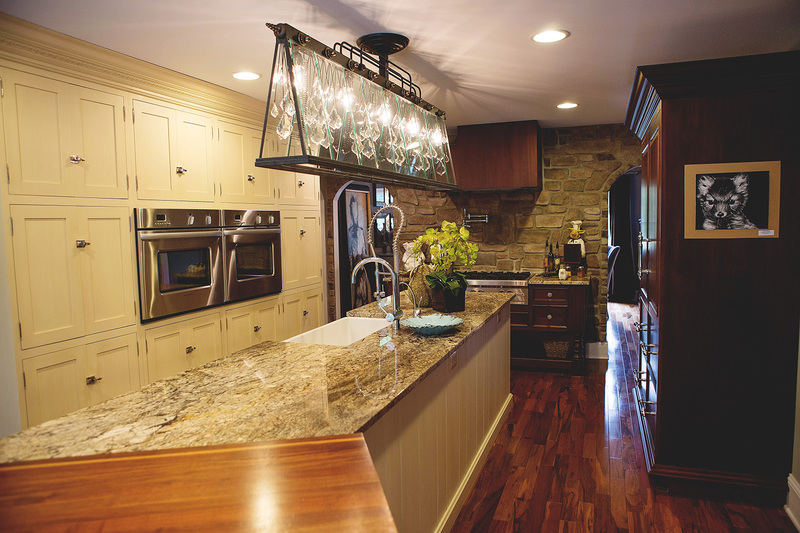 Contemporary cabinets and hardware seamlessly mix with a rustic island and refrigerator. 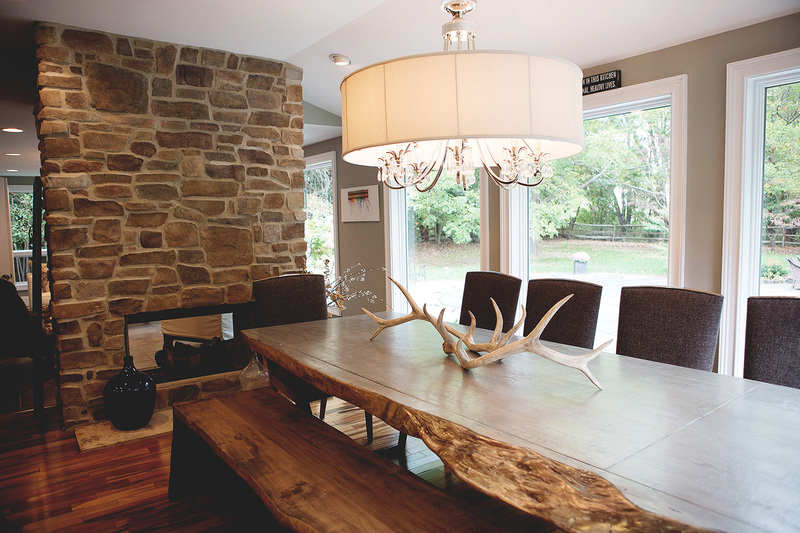 Add to that a transitional table that is a little modern but rustic with a live edge and bench. Don’t forget the lighting, it is everything! 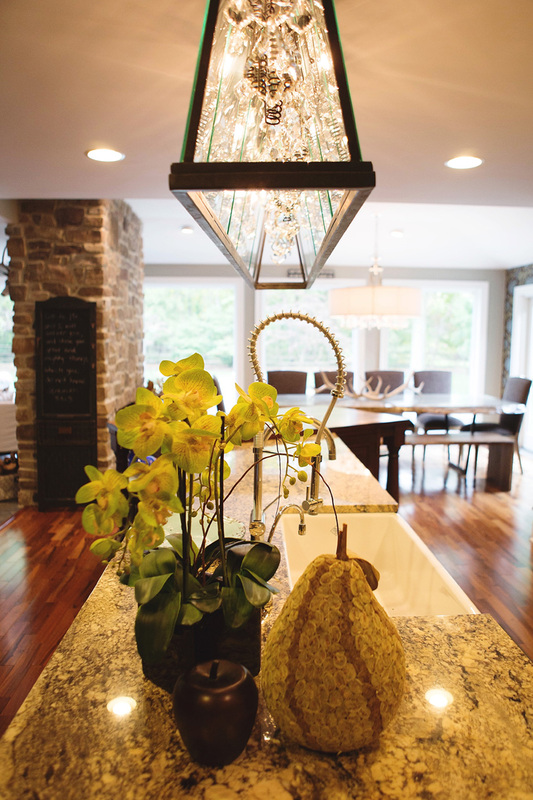 Stone elements bring texture to the room filled with lots of natural light. Fabulous.